When you first drive through Joshua Tree it looks like it's all creosote, and in a way, it is. 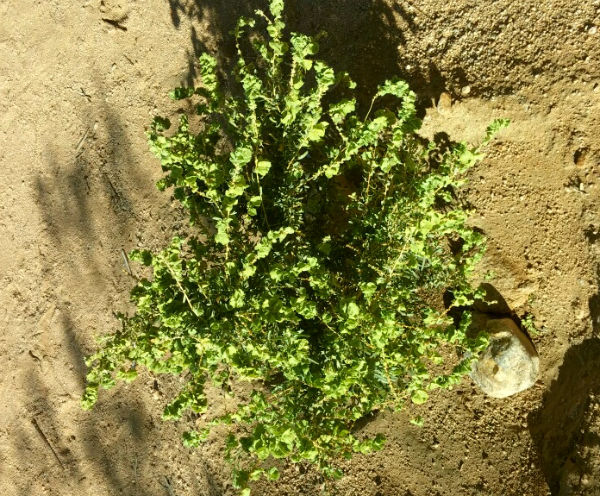 Creosote, or larrea tridentata is the dominant plant for the area. As time has gone by and we've driven the same back roads over and over again other plants have delineated themselves to my eye. 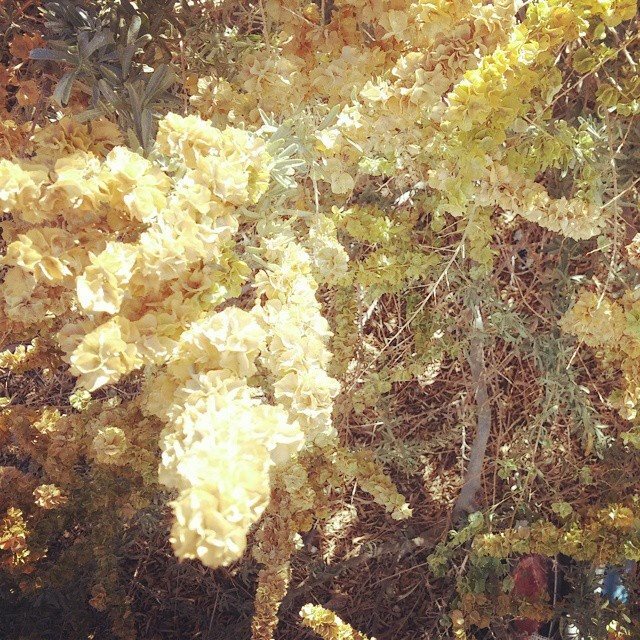 First was desert willow and palo verde. Then I discovered cat's claw acacia and I've loved watching it go through its annual cycle - bright green in the spring, darker as the summer turns to fall. There's been one lovely soft/bright green bush that I haven't been able to identify, until now. We planted a little atriplex canescens from Theodore Payne in the spring and it's grown from a tiny sprig into a foot high show off, in full bloom. Getting to see it close up helped me to identify it in the vacant lots that rim the highway and we stopped to snap a picture of the large bush above. It was so bright I couldn't really see what I was snapping but it turned out well. I love how the leaves turn brown as the air cools at night. I studied up and was happy to see that the plant is edible, though salty. It's one of the only plants the bunnies never touched. We planted two others a few weeks ago and another version of it - quail bush, atriplex lentiformis breweri which is supposed to grow as high as eight feet. Right now everything we planted in the spring is still short, though hardy, except for the desert willow and apricot mallow which are easily two feet tall. It will be interesting to see our place filled with dense bushes in the years to come - kind of hard to imagine but I see it happening other places so look forward to it happening here, too. 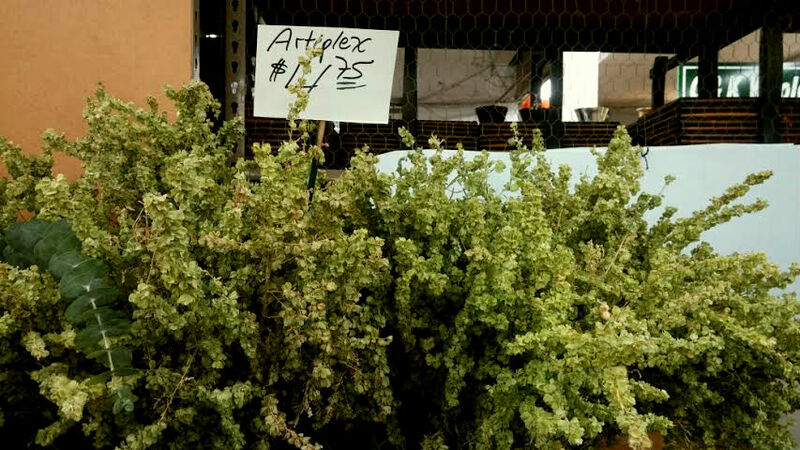 UPDATE: Yesterday I was at the flower mart in downtown LA and found Atriplex for sale. How did I live all these years not knowing that this exists?